So the challenge is really starting to get worse now as it seems however hard I try I can’t get rid of any make up products. 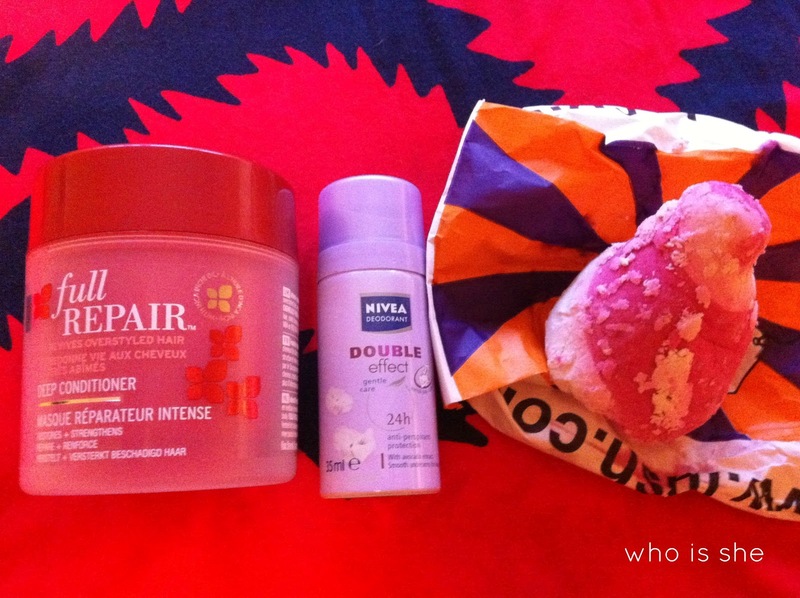 The pictures below I took about a month ago and since then I’ve got another one of these posts lined up ready- it seems that bath/skin products are so much easier to use up than make up products (and yes the Max Factor mascara is continuing to give and give and give). Anyway onto this batch of empties..
Trevor Sorbe Heat Defence Spray- I’ve had this bottle for 18 months and finally used it up. Normally this is the heat protector of choice all the time (bar nights out) even when my hair dries naturally. Personally I don’t think I would buy it again, however as I initially bought this on a 2 for £7 offer in Boots, I still have another bottle to use. Soft and Gentle Deodrant- horrible. Would it repurchase? The thought of stinking of sweat instead of this scent is more appealing. 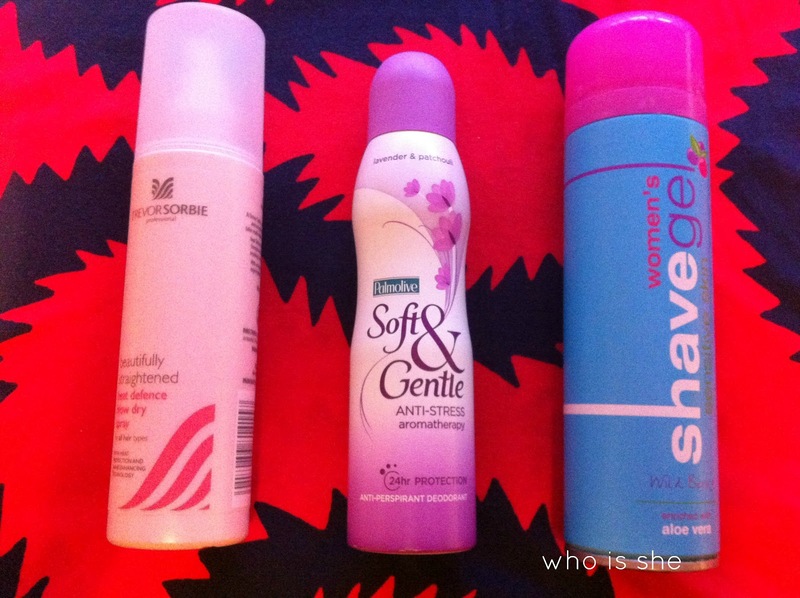 Woman’s Shave Gel (Home Bargains)- it does the job, however the pump is very temperamental. Steph one used this, pressed the pump and it shot all over her bathroom. Would I repurchase? I don’t see why not. John Frieda Full Repair Deep Conditioner*- Review can be found here. Would I repurchase? I’ve already gone through another tub of this since, however once I’ve used my other deep conditioner I have on the go, I will be repurchasing. Nivea Deodrant- for some reason I have a bit of a collection of these in my gym bag- no idea where I’ve gotten them from yet they do the trick while I’m at the gym. Would I repurchase? I would the sample sizes but not this scent. Lush Candy Mountain (x2)- I’ve used two of these up in the last month- I like to ration them throughout the year as this is my favourite Lush product ever. I’m fancying a lush spending spree soon, however I’m going to keep putting it off until the next time I go shopping with Holly as she loves a good Lush haul. 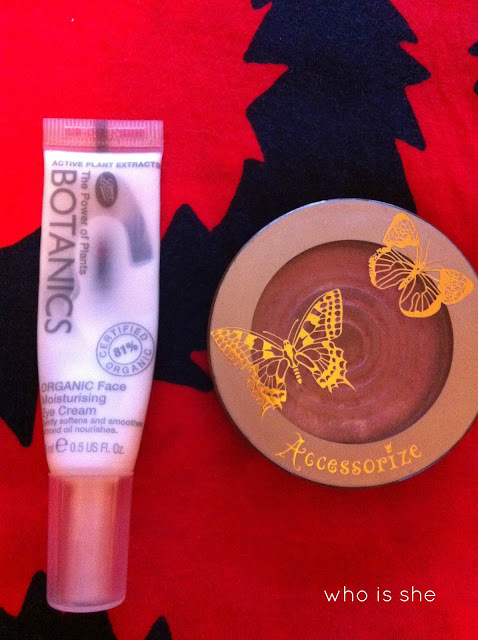 Botanics Organic Eye Cream- Really good cheap eye cream, after the picture was taken I managed to get another 3 applications from the tube. I would repurchase this however as my Boots was sold out the other week of it, I bought their Vitamin E eye cream to try instead. Accessorize Scandal Blush- I reviewed this here. I do love this shade and I think once I use my Vivo Peaches and Cream blush up I’m going to repurchase this. The Vivo blush just doesn’t last as long as the Accessorize blush.